Heure exquise! 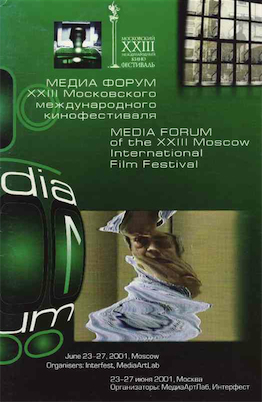 screened Clouin's “Workman”(1998) in a program of video art June 23-27, in the Media ArtLab Forum at the 23rd Moscow International Film Festival, June 21-30. "Workman" received the New Visions Video Silver Spire Award in the Golden Gate Awards competition at the 42nd San Francisco International Film Festival. “23rd Moscow International Film Festival,” Pierre Yves Clouin, accessed April 23, 2019, http://pierreyvesclouin.fr/items/show/199.